Im using the Monoprice Miniselect V2. Printing Hatchbox's ABS. I have printed this part before with no "drifting" utilizing Cura 1.5.04. I was experiencing pretty severe warping on the bottom. In the course of fixing that issue it was suggested to upgrade Cura. I just upgraded it to 3.2.
and this is the result of the first print. Given that this appeared today with the Cura Upgrade, Im inclined to think it in the program as opposed to hardware. 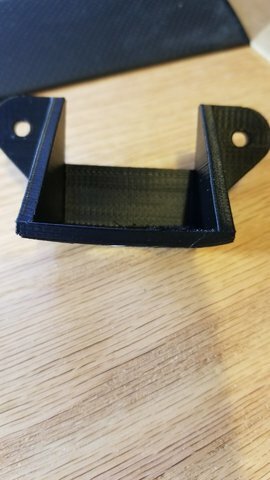 I checked the layers in Cura and this is not shown. This is incredibly common. It's pretty much always caused by a slipping belt. I'd have to see your printer in person I think but basically the problem is that a set screw on one of the pulleys is loose. That's what causes this on most printers. I don't even know if your printer has belts. That this happens in cura and not another slicer is not a major surprise. This kind of thing happens only on extra high acceleration and a combination of factors and features (bugs?) in Marlin can cause higher acceleration (Marlin has a max acceleration and then a MAX acceleration, lol - the lower max acceleration is rarely violated and the higher one is never violated). cura 15. * is a great slicer - I do not recommend you go to version 3. * unless there is a specific feature you really need in there. Warping on the bottom is something I know a lot about. Are you printing on a heated bed with kapton? What temperature? You really need > 100C. I recommend around 105C or 110C (I mean the ACTUAL temperature measured by probe should probably say 105C so 110C is probably your goal temp). You also want to enclose your printer if possible and get the air temp up to around 35C. Also you need to use "ABS glue". I'm downloading 1.5 again now. 3 is nice and clean, but function is much more important. My printer has a heated bed and I am printing on a sheet of PEI. 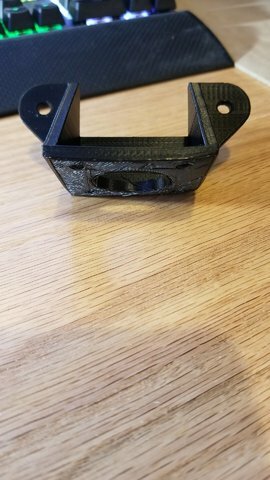 Heatbed temp was an issue that caused me to RMA the printer in November. Since then it will run 80 through its settings and 100 through Cura 1.5's settings.I have used glue sticks on the sheet but see no real improvement with it. Do you think Kapton will help with this? Short print jobs do much better than long ones. The part in question is about 4.5 hours. I'm printing the parts I need for a D-bot build. The designer stated that the PLA they used showed signs of cracking fairly early and recommended ABS. I don't need heat resistance, just strength and rigidity. I very much doubt that this has anything to do with Cura, but everything with machine defects. The reason that upgrading "caused" the issue, is probably due to different settings (most likely speed & acceleration). I agree. I reloaded 1.5 and ran the same print again, with the same results. I slowed the print speed down by half and it printed fine excepting the warping issue. I've started the RMA process again. This bed is running considerably below specs.